studied church music and organ in Utrecht, harpsichord at the Sweelinck Conservatory, Amsterdam, and musicology at Utrecht University. He currently performs throughout Europe, preferring historic organs built in the period from the Renaissance to the Late Romantic period, and he appears annually in important European festivals. He also devotes himself intensively, as an interpreter, conductor and producer, to recording organ music, and has collaborated with several Netherlands radio stations and recording companies. He has, in addition, prepared radio series and CD sets, using historic organs of Alsace, north Italy, Austria and Bohemia. In 1992 he established his own Tsjilp Studio for recording music. In 1977-83 van Dijk wrote about music for the Netherlands monthly het ORGEL [The Organ], and now writes for it on topics of organ construction and renovation. He has also written a number of articles for other magazines and also books, on musical rhetoric, the place of the organ in church music, and organ-building. In addition, van Dijk runs seminars and master classes organized by universities and other institutions of higher learning in the Netherlands and abroad.He is the organist at Tuindorpkerk, Utrecht, and is an expert on the organs of the Protestant church. Many historic instruments in the Netherlands have been restored under his supervision, in collaboration with the Netherlands Office for the Preservation of Monuments and Historic Buildings. In this capacity he worked with the Johannes Klais Orgelbau company on the restoration of the Tyn Church organ, Prague. Prague-born viola player Karel Dolezal studied music at the State Conservatory under professors Vincenc Zahradnik and Lubomir Maly. He supplemented his artistic education studying under professor Ladislav Cerny (the Prague Quartet) during the years 1972-1975. He founded his own string quartet when he was twenty-four with whom he won the title of laureate at the Prague Spring competition and two years later he was awarded the silver medal at the International Festival of Young Soloists in Bordeaux, France. He frequently performs as a soloist (the Prague Spring, Bratislava music festivals), he gives concerts in many European countries and records for radio, television and the BBC. His main activities, however, are concentrated on artistic direction and performance with the Dolezal Quartet. The ensemble has made successful tours of the United States and Japan. His role as teacher is also important to him: he has conducted masterclasses in Finland, in the Czech Republic as part of the Bohemia Festival and he teaches at the Prague Conservatory. a cello and viola da gamba player, composer and also painter and sculptor, was born in Prague, to a sculptor\'s family. At the age of six he began to take violin lessons, and from nine studied the cello with professor Karel Pravoslav Sadlo. Soon he was accepted to the state conservatory prep school, where he later became a regular student in the class of Viktor Moucka, a member of the Vlach Quartet. But regarded an exceptional talent, Hejny moved on, straight to the Academy of Musical Arts. After a year he left the school for political reasons and continued his studies privately with professor Milos Sadlo. He was twice awarded the first prize at the international contest Concertino Praga, at the ages of twelve and sixteen. When he was twenty he won the special prize from the Ministry of Culture for the best interpretation of David Popper\'s composition, The Tarantella. From 1977 he played viola da gamba and baroque cello with The Prague Madrigalists. Since 1984 he regularly works with Pro arte antiqua Praha and in 1987 he became a member of the Dolezal Quartet. He performs solo recitals and duos with violinist Josef Suk, harpsichord players Giedre Luksaite-Mrazkova or Zuzana Ruzickova, flutist Jiri Stivin. His repertoire ranges from medieval works to contemporary compositions, including chamber music, solo concertos and improvisations. In his life as a visual artist Hejny focuses mostly on painting and plastic art, and out of all cello literature he prefers 19th and 20th century material. began to devote himself systematically to music after graduating from university in Prague with a degree in science. He later studied music theory at the Prague School of the Performing Arts as well as organ with Milan Slechta and Jaroslav Tuma, and he also studied harpsichord under John Toll at the Dresden Academy of Early Music. Hugo has, as well, attended classes given by Zuzana Ruzickova, Johann Sonnleitner, Jacques Ogg and Helmut Franke. He worked with the ballet of the Laterna Magika theatre, Prague, has taught choral singing at the Drama Department of the Prague Conservatory, and was briefly Conductor at the Janacek Theatre, Brno. Robert Hugo is currently the organist at the church of the Holy Saviour, Prague, and collaborates regularly with the multi-instrumentalist Jiri Stivin. While still a student he presented a number of Czechoslovak preimeres of oratorios by Giacomo Carissimi and stage performance of Gagliano\'s opera Dafne. As an harpsichordist and organist he has given concerts in a number of European countries, and has worked regularly with, for example, the Berlin ensemble Musicalische Compagney. In 1992 he founded Capella Regia, with whom he concentrates mostly on Czech music. His projects include contemporary preimeres of several oratorios by Jan Dismas Zelenka, as well as music by Adam Michna z Otradovic, Pavel Josef Vejvanovsky, and others. As a musicologist, Hugo is a recognized expert on early music from the Bohemian Lands and southern Germany. He is concerned primarily with research on the relationship between the religious music of the Bohemian Lands, Austria proper, and southern Germany, and also on music for keyboard instruments. He has also been engaged as a repertory consultant for the National Gallery, for whom he has regularly prepared a concert series in the St Agnes Convent, Prague. In addition, he works with Czech Radio and Westdeutscher in Cologne. She graduated from the Academy of Performing Arts in Prague playing the harpsichord with Prof. Giedré-Lukšaité Mrázková. Then she continued in her studies in a master class under Prof. Jacques Ogg at the Royal Conservatory in Den Haag where she obtained her diploma MMUS for a solo and chamber playing. In 2002 she was awarded one year scholarship at the Royal Academy Music in London where she dedicated her studies mainly to playing the basso continuo, then also clavichord and hammerklavier. In September 2003 she was admitted to the Academy of Performing Arts in Prague for her predoctoral studies in the discipline “Interpretation and the Theory of Interpretation“. She is regulary participate in master courses lead by world-known harpsichordists. In 1997 she won together with Iva Štrynclová the 1st and special prize of the Bärenreiter Publisher at the most prestigious International Competition for Two Keyboards in Brugges (Belgium). In the same competition in 2001 she acquired “Honorable mention,“ this time for her solo harpsichord playing. In 1998 the members of duo Edita Keglerová and Iva Štrynclová became finalists of the International Broadcasting Competition “The Platform of Young Interprets TIJI“ which has been organized every year by the European Union of Radio Stations in Brussels (Belgium). She cooperates with well known Czech chamber ensembles as a soloist and a chamber player as well. She is a member of numerous ensembles (Prague Baroque Ensemble, Hanbarne Baroque Ensemble) performing in the Czech Republic and abroad. She is a teacher at the Jan Neruda Musical Grammar School in Prague. She regularly performs with Prague Baroque Ensemble in Japan. In 2005 she visited Great Britain, where she introduced herself in G. F. Händel Museum in London and in St. Nicolas Church in Chearsley. In 2006 she performed in Germany – Musica Canterey Bamberg. In January 2007 she was playing at the opening concert of the 3rd concert series Music of Prague Castle. She played at many important Czech music festivals (Smetana´s Litomysl International Opera Festival, Festival of Chamber Music in Český Krumlov, Dvořák Music Festival Nelahozeves, Antonín Dvořák Music Festival in Příbram, Dvořák Music festival Olomouc) and at festivals abroad (Germany – Bachtage Potsdamm, Great Britain, Holland, Poland). studied flute at Heidelberg University and in Salzburg. His professional experience in early music has made him much in demand as a teacher and performer; in 1989 he was guest lecturer at the State University of Pennsylvania, and from 1990 he has been lecturing at the Academy of Early Music in the Institute of Musicology, Masaryk University, Brno. In 1995 he was invited to teach at Boston University, in Worcester and Cambridge. He also runs master courses in Europe. The German "Alte Music Aktuel" journal described him as one of the major personalities in early music. He has recorded for many gramophone companies in Europe and the USA, as well as for radio and television. originally started performance on the Renaissance lute under Rudolf Měřinský and then, independently enlarged his interests to include the theorbo and the Baroque guitar. He has participated in numerous performance classes under the direction of Evangelina Mascardi, Hopkinson Smith, Lynda Sayce, Jacob Lindberg and others. Currently he gives solo recitals and as a sought after basso continuo player he performs with many Czech and international ensembles (Collegium Marianum, Collegium 1704, Ensemble Tourbillon, Capella Regia, Societas Incognitorum, Ritornello, Verba Chordis, Musica Florea, Harmonologia and others). He regularly plays at festivals including the Prague Spring, the Prague Autumn, Concentus Moraviæ, the St. Wenceslas Festival, Haydn\'s Lukavice, and the Early Music Summer Festival. He has taken part in numerous recordings for Czech Television, Czech Radio, ARTA Records, Supraphon, and Rosa. He also teaches. is a graduate of the Academy of Performing Arts in Prague and studied under professor Vladimir Riha. He continued his studies at the Accademia Chigiana in Italy, and later under professor Guy Deplus at the Paris conservatoire. He took part in the Prague Spring music festivals where he received a first-degree honourable mention in 1968 and became a prize-winner in 1974. He played in the Slovak Philharmonic for several years and has performed as a soloist with Czech chamber and symphony orchestras, in particular the Prague Chamber Orchestra, the Czech Chamber Orchestra and the South Bohemian Chamber Philharmonic. He focuses his artistic activities on chamber-music performance and has worked with pianist Zorka Zichova, the Panocha Quartet, the New Prague Trio and the Martinu Quartet. He has also appeared as a soloist in Italy, France, Germany, Hungary and Austria. His repertoire includes works from all periods, several of which he has recorded for Czech radio, television and record companies. He has also taught in South Bohemia and conducted master classes in Italy. Jiri Krejci devotes much of his endeavour to performance on period clarinets, presenting the works of J. Haydn, W. A. Mozart, L. van Beethoven, G. Sciroli, J. A. Fr. Mica, V. Pichl, J. K. Vanhal, J. P. Vesely and the anonymous "L" as new premieres performed on period instruments. For this recording he chose an original six-key clarinet made from boxwood by the Prague firm W. Horak, taken from his own collection. The instrument bears no date, however, historical sources reveal that it originated from the foundation of pianist and composer Abbe Josef Jelinek who was a personal friend of Mozart. mezzosoprano, graduated from the Academy of Music, Prague; she is one of the foremost Czech performers of Renaissance and Baroque music. She studied classical singing under Professor Karel Berman and Professor Terezie Blumova, and Baroque under Jessica Cash at her summer courses in Innsbruck. Jana Lewitova performs with well-known soloists, with early music ensembles (Prague Madrigalists, Musica Florea, Capella regia musicalis) at concerts and for recordings, and is much in demand as a teacher. Among her earlier solo recordings the Sephardic Songs awarded the Czech Music Fund Prize in 1994.
studied at the Pilsen Conservatoire, and subsequently at the Academy of Music in Prague, comleting his musical education at the Schola Cantorum Basiliensis (specialising in period keyboard instruments) under Joerg-Andreas Bötticher and Jesper Boje Christensen. He founded the ensemble Collegium 1704 while he was still a student (1991). He than taught at Prague Academy of Music (figured bass, 1996–1999) and at the Felix Mendelssohn-Bartholdy Music Academy in Leipzig (2001-2003). As a soloist or member of various chamber groups he has given concerts in Europe and overseas (Barcelona, Berlin, Davos, Dresden, Paris, Prague, Warsaw, Salzburg, Zurich, Mexico City etc.). Apart from his concert appearances, he is also involved in researching historical-cultural ties in Central Europe, and sources relating to the musical history of Bohemia, Austria and Germany. He is particularly interested in the study of sources detailing the performance of figured bass (basso continuo) on keyboard instruments during the Baroque. He is repeatedly invited to work with leading European orchestras specialising in the performance of early music (e.g. Akademie für Alte Musik Berlin, La Cetra Basel), he works with numerous radio stations (Czech Radio 3 – Vltava, Deutschland Radio Berlin, DRS, ÖRF, Radio France, etc.) and with music publishers (Supraphon, Pan Classics, ARTA Records). born in Lithuania, began to play the piano at the age of five. She graduated at the State Conservatory of Vilnius in the piano and organ division. As an aspirant she continued studying organ at the Moscow State Conservatory of P. I. Tchaikovsky, later with professor Jiri Reinberger (organ) and professor Zuzana Ruzickova (harpsichord) at the Prague Academy of Musical Arts. After finishing her postgraduate studies and a three year long research internship she settled in Czech Republic (since 1976), and worked as a harpsichord docent in Prague. As an organ and harpsichord player she appeared as a soloist of the Lithuanian State Philharmonic Orchestra, gave concerts among others with the Dresden Philharmony, the Bach Orchestra of Leipzig and the Prague Philharmonic Chamber Orchestra. From 1984 she was a member of the Ars Rediviva ensemble. Nowadays she performs solo recitals above all and plays concerts regularly throughout Europe. The guitar ruled for more than two hundred years, but in the early fifties the lute began to find its way back on to the concert platform; slowly and cautiously at first, as guitar players used the lute to add variety to their programmes. From the seventies onwards, however, a growing number of musicians began to devote themselves to the instrument professionally. In Bohemia and Moravia, too, the tradition of lute playing is being revived, thanks among others to the Prague musician Rudolf Merinsky. He has been studying the lute for over ten years, privately, under such teachers as Nigel North, Jacob Lindberg, Anthony Rooley and Hopkinson Smith, and in such specialized courses as the Summer School in Innsbruck and that in Dartington, England. His repertoire is taken mainly from Renaissance and Baroque music; he performs as a soloist, in small ensembles and is much in demand for thorough continuo parts. Rudolf Merinsky is an active researcher of musical archives, principally for his concert repertoire. He is also a teacher, as the younger generation of lutenists will testify. composer, conductor and musicologist. He studied composition at Prague Conservatory and musicology at Charles University, Prague and Université Paris VIII. As a student of composition he participated at composer\'s courses in Darmstadt, Kazimierz and Amsterdam. In 1985 he founded contemporary music ensemble Agon and was its first artistic director until 1990. In 1993 he won the Academy of St. Martin in the Fields orchestra\' "Young Composer Award" and the same orchestra commissioned and premiered his orchestra piece "A Winged Creature", later performed also by Jupiter Orchestra in London, by Prague Chamber Orchestra, at ISCM WMD 2000 in Luxembourg and recorded by Prague Philharmonia for the Czech Radio. From 1995 - 1996 Pudlak has been active at California and Oregon universities as visiting composer and lecturer. Since 1996 Miroslav Pudlak has been working as a director of the Czech Music Information Centre. He is teaching music theory at the Academy of Performing Arts (AMU) and at the New York University in Prague. Since 1996 he has been conducting a contemporary music ensemble MoEns (Mondschein Ensemble) which introduced a lot of his music to international festivals. His was commissioned by Deutschland Radio - Koeln, Germany and Klangspuren Festival, Austria. His music was performed at contemporary music festivals and concerts throughout the world (namely US, England, Germany, Austria, Switzerland, Italy, Poland, Finland, Luxembourg, Ukraine, Mongolia, France and Canada) and recorded on CDs by Arta Records label. Besides concert music Miroslav Pudlak also wrote music for a great number of theatre performances. As a pianist he plays with his experimental jazz group Why Not Patterns. was born in 1974 in Znojmo, and studied organ at the Brno Conservatoire with Prof. Zdenek Novacek, graduating in 1995. In the same year he was accepted at the Janacek Academy of Music and Performing Arts, where he studied organ under doc. Kamila Klugarova and harpsichord with Barbara Marie Willi. In the years 1996-1997 he studied organ at the Conservatoire National de Région de Rueil-Malmaison in Paris under Professor Susan Landale. After returning home he continued studies at the Academy of Performing Arts in Prague in the class of doc. Jaroslav Tuma and in 2000 won a scholarship to study in Lyon with the famous Professor Jean Boyer. During his studies he used the opportunity to get to know the views of other leading organ teachers at their master courses (Martin Sander, Ludger Lohmann, Michael Radulescu, Michel Chapuis, Hans Fagius, Jon Laukvik and others.) Petr Rajnoha has achieved successes in a whole series of international music competitions. For example he was awarded the title of laureate at the 51st Prague Spring International Competitions (including the Prize for the Best Performance of Contemporary Czech Music and the Special Bärenreiter Publishing House Prize for the Best Performance of an Organ Work from the point of view of historical practice), and he won two prestigious competitions in Germany: in Gelsenkirchen and in Nuremberg (The Johann Pachelbel Prize and the Public Prize). Well known for his achievements in the authentic performance of organ music of all periods, Petr Rajnoha is often invited to Czech and European music festivals. He has given recitals in many European countries, including Iceland. He makes recordings on historical instruments for Czech Radio. He has performed with the Czech Philharmonic, the Prague Chamber Philharmonic, the Neue Filharmonie Westfallen and the Bohuslav Martinu Philharmonic in Zlin. Currently he is based in Prague, where he is teaching young organists and engaged in editing work for the Baerenreiter publishing house. At the same time he is trying to deepen his theoretical and practical knowledge with Post Graduate studies at the Academy of Performing Arts. As the theme of his doctoral dissertation he has chosen the The Organ Works of Josef Klicka. The Czech multi-instrumentalist Jiri Stivin (flutes, saxophones, instruments of his own construction, occasionally sonic happenings) is involved in the fields of jazz and classical music since the 60\'s. His well-oriented, informal attitudes are reflected both in his composing work and in his long-term teaching activity. On jazz stages, he met, among others, with Barre Philips, Zbygniew Seifert, Tony Scott, Pierre Favre, in the domain of ancient music he works as a soloist with the Virtuosi di Praga, Prague Chamber Orchestra, Slovak Chamber Orchestra and Pro arte antiqua Praha, the ensemble performing on period instruments. He is the leader of the group Collegium Quodlibet. Organist, harpsichord and clavichord performer, improviser, composer and teacher Jaroslav Tuma was born in Prague. Here he also graduated at the conservatory and the Academy of Performing Arts under professor Milan Slechta and Zuzana Ruzickova. During his studies he was awarded prizes at international competitions, for example, for his organ performances in Linz, Prague, and Leipzig. He has won competitions for improvisation on the organ in Nuremburg (1980) and Haarlem (1986). He has taken part in various festivals (The Prague Spring, Internationale Orgelwoche in Nuremburg, Musikfestspiele Dresden, the Flanders Festival) and he is also a member of the jury at a number of others. He has been teaching at the Academy of Performing Arts since 1990. He records for radio, television and numerous record labels. Jaroslav Tuma concentrates on Renaissance, Baroque and early Classicist works and he enjoys performing on historical instruments or their copies. His concerts also regularly include music from the 20th century. He has visited most of the countries of Europe and he has given concerts and lectures in the USA, Japan and Singapore. He performed the whole of Bach\'s organ repertoire in Prague during the years 1990 - 1993. Pavel Verner, solo oboist of the Prague Symphonic, is the laureate and multiple soloist of the International Music Festival Prague Spring and of the other festivals, e.g. in Lausanne, Paris, Los Angeles. He is professor at the Prague Conservatory (since 1971), the member of chamber ensembles Musica da Camera Praga (since 1968) and Ars Rediviva (since 1969) and of the elite Chamber Orchestra of Europe Soloists residents at Luxembourg. He found the "family" ensemble Verner Collegium. Michael Verner, son of Pavel Verner, won the prize of the youngest finalist of the international competition Prague Spring in 1980. He is also the absolute prize winner of the Wind Instruments Competition in Teplice. At the present time he is the solo bassoon player of the Symphonic Orchestra of Prague Radio Broadcasting, the member of Pachta\'s Chamber Harmony and ensembles Ars Rediviva, Symposium Musicum and the "family" Verner Collegium. (born in Prague in 1969) studied cello at the Prague Conservatoire with Josef Chuchro. This was followed by studies in musicology at Charles University in Prague and at Royal Holloway College at the University of London. There he was introduced to the viola da gamba by Richard Boothby, later continuing his development as a gamba player with Jaap ter Linden at the Akademie für alte Musik Dresden. After having completed his studies in Dresden, Petr Wagner was invited to study with Wieland Kuijken at the Royal Conservatoire in The Hague where he received the prestigious Uitvoerend Musicus solo diploma. Petr has appeared at numerous European festivals (South Bank Centre, Festival d’Ile de France, Prague Spring Festival, Sopron Early Music Days, Mitte Europa Festival, Brežice Early Music Festival, Forum Musicum Wrocław), both as a soloist and continuo player, and collaborates with musicians such as Jacques Ogg, Shalev Ad-El, David Roblou, Mitzi Meyerson, Philip Pickett, Bruce Dickey, Brent Wissick, Ophira Zakai, Miklós Spányi, Péter Szüts, Simon Standage, Magdalena Kožená, Noémi Kiss, and ensembles such as New London Consort, Concerto Palatino, Orfeo Orchestra, Les Inégales Köln, Concerto Armonico Budapest and Oslo Baroque Soloists. In 1998 Petr Wagner founded the Ensemble Tourbillon with internationally acclaimed musicians. Its core activities focus on 17th and 18th century repertoire, with music by Couperin, Bach, Marais, Rebel, Finger, Telemann, Fischer and Handel. Petr’s solo recording of Charles Dollé: Pieces de Viole avec La Basse Continüe (DOR-93246) with Jacques Ogg on harpsichord has been highly recognised by the reviewers. Besides his performing activities, Petr is Artistic Director of the Prague Baroque Centre and teaches viola da gamba in Prague and at the Academy of Music of Karol Lipinski in Wrocław. Violinist Ivan Zenaty first became known to the musical public in 1982 by winning a prize in the Tchaikowsky Competition in Moskow. His first international success was later completed by the First Prize in the Prague Spring Competition in 1987, the title of laureate at the International Tribune of Young Performers UNESCO (1989), and the Main Prize Master Courses R. Ricci in Berlin connected with engagement as a soloist with the Berliner Symphoniker. He graduated from the Prague Academy of Musical Arts under Nora Grumlikova, took private lessons by Josef Suk, at master courses in Zurich and Weimar his teachers were N. Milstein, A. Gertler and I. Bezrodny. Ivan Zenaty performs on concert platforms all over Europe, North and South America, Asia and Africa, records CDs in the Czech Republic and the United States. He has been a guest soloist with prominent orchestras (the Czech Philharmonic, Berlin Symphony Orchestra, Radio Stuttgart, English Chamber Orchestra a.o. ), since 1988 he has been a permanent soloist with the Prague Symphonic Orchestra. He has already performed 40 different concerts with an orchestra; he is the art director of the ensemble Capella "Sancta Caecilia" whose activity focuses on interpretation of baroque and classical music. Twentieth century music rates among Ivan Zenaty\'s leading interests as well. Agon Orchestra was formed in 1983, as a platform for a group of young Czech composers and musicians whose activities developed outside the boundaries of the cultural establishment of that time. Beside these Czech composers, Agon presented numerous Czech premieres of works by, for example, John Cage, Morton Feldman, Arvo Part, Steve Reich or Giacinto Scelsi. After 1989 Agon produced and performed several thematic cycles centred on avant-garde and cross-over tendencies in new music - from micro-tonal music, though Czech new music of the 1960s and an anthology of Czech and world avant-garde, to graphic and conceptual scores; as well as the project alternative, where Agon presented experimental works by Czech rock musicians, visual and performance artists. The members of Agon come from diverse backgrounds such as the Czech Philharmonic, State Opera or modern jazz and alternative rock circles. With the help of a combination of acoustic and amplified instruments the sound of Agon gains the aggressivity of a rock band together with the precision of a chamber ensemble performing classical music. Agon has to date appeared both on small domestic stages, and at prestigious international festivals in Austria, Germany, Hungary, Italy, Poland, Slovakia, Slovenia, United Kingdom, USA and has produced a number of recordings for radio, TV, and record companies. In 1994 Agon received the Golden HarmonyAward for the best CD of contemporary Czech music. is an ensemble that emerged out of a desire to play early music as it most probably sounded when it was written. 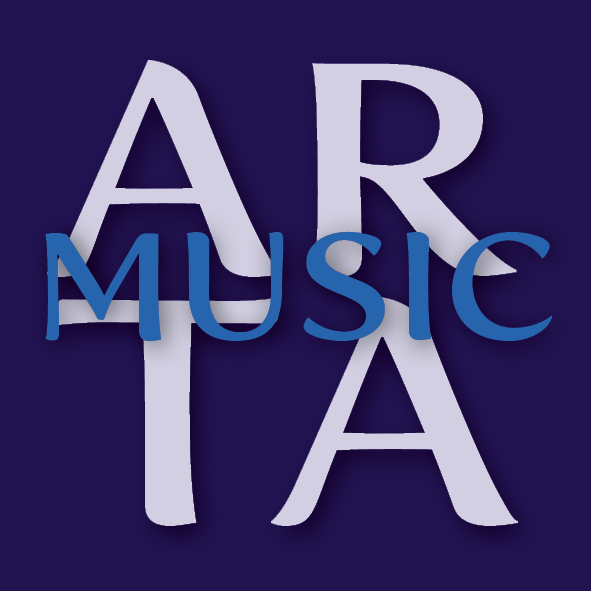 For the \'authentic interpretation\' of early music Antiquarius Consort Praga brought together leading specialists/players of period instruments in the Bohemian Lands. Their guiding principle has been the systematic study of archive records to discover period details that they then join with a high degree of personal sensitivity - the key to discovering and communicating the true picture of the spiritual legacy of the past. The extent of the repertoire of Antiquarius Consort Praga covers the period from the emergence of the Baroque violin, the Late Renaissance and Early Baroque, to the best works of known and unknown composers of the High Baroque. The instrumental makeup of the ensemble enables the interpretation of a vast amount of compositions from the pre-Classical period in the Bohemian Lands, as well as Viennese Classicism and Early Romanticism. The concert programme of Antiquarius Consort Praga includes solo compositions for strings or keyboards, trio sonatas, string quartets, astonishing period arrangements of Beethoven\'s symphonies for string quintet, as well as vocal works and partitas for small chamber orchestras. Antiquarius Consort Praga endeavours to retain all the features of authenticity used in period notation, instruments, bows, gut strings, tunings, and the means of completing the parts with ornaments. The personal mission of all the players is to bring the music to the listener in the form it was played in its day by the best professionals, with the full wealth of effects and adeptness of variation. The individual members of the ensemble have separately recorded many CDs for the Czech label ARTA Records and the Japanese company Pony Canyon. On Ivan Zenaty\'s iniciative the Capella "Sancta Caecilia" was formed in 1992, intended to perform the music of the 18th century played on authentic historical instruments. The members of this ensemble are at the same time either members of the Czech Philharmonics (Jan Simon, Vit Mach) or renowned soloists (Gabriela Demeterova, Petr Hejny, Jaroslav Tuma, Ivan Zenaty). The laureate of the Tchaikowsky Competition in Moskow (1982) and the winner of the Prague Spring Competition (1987) Ivan Zenaty is an internationally acknowledged violinist, playing concerts regularly throughout Europe, Asia, and in both Nothern and Latin Americas. He records in the Czech Republic and USA and has been invited as a guest soloist by many outstanding world orchestras (Czech Philharmonic, Berlin Symphony Orchestra, Radio Stuttgart, English Chamber Orchestra etc.). He has already performed 40 different concerts with an orchestra. Twentieth century music rates among Zenaty\'s leading interests as well. The ensemble was formed in 1992, when a group of young musicians, enthusiastic about "period interpretation" of Baroque music, made a recording of compositions by Adam Michna z Otradovic. At present Capella Regia comprises five singers (or sometimes six) accompanied with harpsichord or organ. They are joined for larger projects by other regular collaborators, including leading vocalists and instrumentalists and even chamber orchestras and choirs. The ensemble uses exclusively historical instruments or copies of them and today it brings together the best soloists in the field of interpretation of Renaissance and Baroque music. Capella Regia is known to the music-loving public for performing a large repertoire of Bohemian music from the seventeenth and eighteenth century. For as long as it has existed the ensemble has performed also contemporary preimeres of pieces such as three Good Friday Oratorios by Jan Dismas Zelenka: I Penitenti al Sepolchro del Redentore (Supplicants at the Sepulchre of the Saviour), Gesu al Calvario (Calvary), and Il Serpente del Bronzo (The Bronze Serpent), the basic works of Adam Michna z Otradovic (St Wenceslas Mass, Requiem, Te Deum, Magnificat, and select Czech songs), the Te Deum by Jiri Melzel, the Te Deum by Philipp Jakob Rittler, and the Missa Salvatoris by Pavel Josef Vejvanovsky. In the year 2000 Capella Regia put together and performed a contemporary world preimere of the S Wenceslaso oratorio by Antonio Draghi. The ensemble\'s repertoire also includes a number of oratorios by Giacomo Carissimi. Among the larger projects of Capella Regia, the stage performance, during the 1992-93 season, of Emilio di Cavalieri\'s opera Rappresentatione di Anima, et di Corpo at the Janacek Theatre, Brno, deserves special mention. Capella Regia has recorded CDs of Michna\'s St Wenceslas Mass (Svatovaclavska mse) and Requiem (which received the Czech award Gramy Klasik in 1993), Zelenka\'s oratorio I Penitenti al Sepolchro del Redentore, Brixi\'s organ concerto and the Czech Christmas Mass by Jan Jakub Ryba. The ensemble regularly appears in the Prague concert series of early music organized by FOK. It also collaborates with the Italian Cultural Institute in the Passione Festival, and has performed in festivals such as La Semaine Sainte, Caen, Mai de Paris and Festival Westdeutscher Rundfunk, in Herne. It has also participated in a number of festivals in the Czech Republic, including those in Brno, Litomysl, Beroun, Kutna Hora, Telc, Valtice and the Concentus Moraviae Festival. Recent appearances abroad include performances in Cracow (2000) and the Festival of Early Music, Vilnius (2000). The Capella Regia ensemble is supported by Prague City Hall. The Collegium 1704 orchestra was founded in 1991; its members perform on period musical instruments or their copies and, in the last two years, they have been focusing primarily on unearthing and performing music from the Central European regions of Bohemia, Moravia, Saxony, Bavaria and Austria. Their repertoire, until now known only to musical scientists, has been presented in concert in the Czech Republic and abroad (Schleswig-Holstein Musik Festival, Uckermärkische Musikwochen, Arolser Barockfestspiele, Internationale Barocktage Stift Melk, the Prague Spring Festival, etc.) and has attracted deserved public attention. A number of concerts have been recorded or broadcast live by various European radio stations, such as ÖRF, Deutschland Radio Berlin, Radio France, Czech Radio 3 - Vltava and EBU (European Broadcasting Union). The ensemble´s guests have included artists from Germany, Italy, Switzerland, Poland and Slovakia. Collegium 1704 were highly acclaimed by international music critics (Diapason, Repertoire, Concerto, Fonoforum, Harmonie) for their recording Henri Albicastro: Concerti a quattro, Op.7, which they made in 2001 in association with the group Collegium Marianum. The orchestra also teams up with the wind octet Amphion (Switzerland/Germany) to perform the orchestral repertoire of the latter half of the 18th century. During the course of 2005, Collegium 1704 and their guests were performing before Prague audiences, presenting the Johann Sebastian Bach´s four major vocal works (St John Passion, St Matthew Passion, Mass in B minor, Christmas Oratorio). Thanks to its untiring and exceptionally successful artistic career, the Dolezal Quartet has acquired a place among the top elite chamber ensembles. Since its founding in 1972 by viola player Karel Dolezal, the ensemble has been given sundry awards at international competitions, prestigious concerts and festivals. The ensemble was the winner of the Prague Spring quartet competition in 1975, it won the silver medal at a competition in Bordeaux and in 1989 won a prize awarded by the Czech Association for Chamber Music within the Czech Philharmonic. The Dolezal Quartet undertakes a number of foreign tours every year and its interpretation of the music it performs, grown from the roots of the world famous Czech quartet school, is highly valued in many countries. The ensemble is frequently invited back to perform in various countries, particularly in France, Switzerland, Italy, Germany and Austria. The quartet has also played in England, Spain and Portugal, and it received an exceptionally warm reception in the concert halls of Japan. is an instrumental ensemble using period instruments in the interpretation of sixteenth and seventeenth-century music. It aims for an interpretation closest to what was performed when the composition was written, and endeavours to present it as faithfully as possible to audiences today. At concerts, La Gambetta performs, in particular, chamber music for viola da gamba. The core of the ensemble comprises four instrumentalists. On larger projects, like Musicus salutaris, other players and singers are invited to participate. La Gambetta is involved in a broad range of concert projects of its own original selection and arrangements. It performs at international music festivals and other prestigious occasions, as well giving concerts regularly in the Czech Republic and abroad. The fastidious selection of presented titles, the painstaking study and preparation of the music, together with expert knowledge of the historical context, are why La Gambetta stands out among other early-music ensembles. Since its successful appearance at the Valtice Festival, Moravia, where it presented a work for the stage called A Duel between Song and Dance, which evokes the atmosphere of concerts at the court of Louis XIV, and the presentation of Il Festino, which comprises madrigals by Adriano Banchieri and period dance, La Gambetta has been intensively studying the musical legacy of the phenomenal Prague violinist and physician Jan Ignac Frantisek Vojta, almost all of whose compositions are presented on this CD. The ensemble was established in 2000. Its founding members were young professional instrumentalists who, after having worked for several years in leading Czech music groups, decided to form their own chamber ensemble for the authentic interpretation of early music. The ensemble plays in various combinations of two violins, viola, and basso continuo, and, if required, flute or oboe. In an attempt to come as close as possible to an original interpretation of seventh and eighteenth-century works, Hipocondria uses period instruments or faithful copies and historical tunings. When performing vocal-instrumental compositions, it works with singers specialized in early music. The repertoire of the ensemble consists mainly of instrumental works of High Baroque, Late Baroque, and Early Classical music. Hipocondria focuses on the interpretation of completely neglected or rarely performed works by Czech master composers (Josef Antonin Planicky, Frantisek Ignac Antonin Tuma, Jiri Antonin Benda, Frantisek Xaver Richter, Jan Zach, Jan Dismas Zelenka). This activity has resulted in the contemporary première, in 2001, of a series of six church sonatas by F.I.A.Tuma (as part of a National Gallery project called The Glory of the Baroque in Bohemia) and the Czech première of a harpsichord concerto by Frantisek (Franz) Xaver Richter. The ensemble has also given many concerts, for example, at the Glory of the Baroque in Bohemia, in 2001, the Bach Festival in Nove Mesto, Moravia, a concert with the subtitle Music of Bologna for the National Gallery in Prague, the Emmy Destinn Festival in Ceske Budejovice, the 2004 Musica Ecumenica Festival, the 2004 Festival of Church Music in Ceska Lipa, and the 2005 Young Stage Festival in Karlovy Vary. Abroad, it has taken part, for example, in the Festival de musique et d´art baroque en Tarentaise, the Arpèges en Alpages festival, and the Musique en fête dans le Val Saint-Grégoire, 2003 and 2004. The first recording by Hipocondria, with Tuma´s church sonatas and a selection from Planicky´s Opella Ecclesiastica, was highly acclaimed by regular listeners of Baroque music and professional critics alike. The Artistic Director of the group is the violinist Jan Hadek, a graduate of the Prague Conservatory and the Music Faculty of the Academy of Performing Arts, Prague. As an interpreter of seventeenth and eighteenth-century music he has performed in numerous concerts both in his own country and abroad, and has gained a wide range of experience working with many ensembles (Collegium 1704, Musica Florea, Capella Regia etc.). In 2003 he completed a course with Chiara Banchini at the prestigious Schola Cantorum Basiliensis, Switzerland. Slovak pianist Aneta Majerová (born 1979) is a graduate of the Žilina Conservatory in the class of Darina Švarná; the Academy of Arts in Banská Bystrica in the class of Marián Lapšanský; and the Pedagogical Faculty of Charles University in Prague. She has participated in residencies at the Academy of Music in Prague and the Gnessin Academy in Moscow with Maria Gambarian and Nana Nemsicveridze. She honed her interpretational skills at the International Courses of Interpretation under the guidance of such artists as Lazar Berman, Eugen Indjic, Jiří Skovajsa, Robert Roux, Eugen Pridonoff, Boaz Sharon and Maria Gambarian. In the last ten years, she has performed in the Czech Republic, Slovakia, USA, Russia and the Seychelles. She is a recipient of first prizes in the State Competition of Slovak Conservatories in Chamber Music and of the International Schubert Competition for Piano Duets in Jeseník. As a devoted interpreter of the music of Gideon Klein she is a recipient of support from the Gideon Klein Foundation. She has been teaching at the Prague Conservatory since 2009. Soprano Bronislava Tomanová (born 1981) is active as a performer and educator. She is a graduate of the Jan Neruda Grammar School in a class with music specialization, where she studied violin and voice with Magda Bělohlávková. She continued her studies at the Pedagogical Faculty of Charles University in Prague and at the Prague Conservatory as a pupil of Jarmila Krásová. She has attended masterclasses with artists such as Marta Beňačková, Zdena Kloubová, Gery Grice, Marta Scheffel, Alan Nonat, Dona D. Vaughn and Tom Krause. She received an award at the Dušek Vocal Competition, the Olomouc Singers’ Competition and the Mozart Competition at the Ad Honorem Mozart festival. She performed Slavomír Hořínka’s Pour mon Berger with the Prague Philharmonia at the Prague Premieres festival and appeared as a soloist in Bohuslav Martinů’s Opening of the springs in the National Theatre at the International Prague Spring Music Festival in 2009. Roman Patočka (born 1981) is one of the most distinctive Czech musicians of the young generation. He performs with leading Czech and foreign orchestras, such as the Prague Philharmonia, Symphonic Orchestra of the Bavarian Radio, Hamburger Symphoniker and Nagoya Philharmony. He has appeared with Radek Baborák, Jiří Bělohlávek, Douglas Bostock and Sir Charles Mackerras, with whom he performed Janáček’s violin concerto The Wandering of a Little Soul. He studied violin with Dagmar Zárubová at the Prague Conservatory and with Ivan Štraus at the Academy of Music in Prague. He continued his studies in Utrecht in the Netherlands and in Lübeck in Germany, where he was a pupil of Shmuel Ashkenasi. He is a recipient of a master’s diploma from the Berlin Musikhochschule Hanns Eisler and he has participated in masterclasses under the direction of Hagai Shaham, Menahem Pressler, Leon Fleisher, Ida Haendel and many others. He received a number of prizes at international competitions (the Prague Spring competition, Václav Huml Competition in Zagreb, the Flame Competition in Paris, and the competitions of Max Rostal in Berlin, Pablo de Sarasate in Pamplona, and Leopold Mozart in Augsburg). He has recorded for Czech Radio, BBC Radio 3, ORF, Radio 4 Netherlands, Romanian Radio and Japanese TV channel NHK. In 2008 and 2009 Patočka held the position of concertmaster in the German Symphony Orchestra in Berlin. Petr Nouzovský (born 1982) is one of the most successful young Czech cellists. He has already appeared four times at the International Prague Spring Festival and has performed in the most prestigious concert halls such as the Concertgebouw in Amsterdam, the Moscow Conservatory Hall and St. Petersburg’s Glinka Hall. He studied with Jan Páleníček and Jiří Bárta at the Prague Conservatory and with Miroslav Petráš at the Academy of Music in Prague. He continued his studies at the Hochschule für Musik in Dresden and at the Royal Conservatory in Madrid. While still a student at the Prague Conservatory he was invited to the Piatigorski seminar in Los Angeles. He has participated in a number of masterclasses with world-renowned cellists Mstislav Rostropovich, David Geringas and Boris Pergamenschikov. In 2007 he received the Europäische Förderpreis für Musik award. Petr Nouzovský performs as both soloist and chamber musician. In 2005 he founded the South-Bohemian Chamber Music Festival which he continues to direct. One of the main areas of interest of the members of Kvinterna is Christian and Jewish music from the thirteenth to the fiftheenth-century Europe. Apart from medieval Spanish songs such as those of the Cantigas de Santa Maria, its repertoire also includes Bohemian church music and music of the royal court, particularly that which was contemporary during the reign of Emperor Charles IV. Kvinterna is concerned with the reconstruction of Christian rituals and performs music inspired by medieval alchemy. An important part of all its performances is improvisation by its members, who also compose and then perform their own compositions. They use copies of period instruments and various "ethnic" instruments and often non-European, oriental influences, ornamentation, and rhythmic models appear in their music. Their aim in interpretation is to revive the inspirational multicultural environment of a former age. The ensemble renewed its activity in 1994 and since that time regularly performs at home and abroad. It takes part in various festivals of ancient and also alternative music. Kvinterna\'s concerts often have a theatrical quality, where the music is reinforced by movement and light. It collaborates with radio and television, and recently took part in the making of an American documentary film about alchemy in Bohemia. Previous recordings by Kvinterna include Dvorska hudba doby Karla IV [Music of the Court from the Time of Charles IV], used in the film Magister Theodoricus, which was part of the 1998 National Gallery exhibition of the same name in Prague, and Ritualy stredoveku [Rituals of the Middle Ages], an album containing oracle songs of the Sibyl and songs celebrating the Black Madonna of Montserrat. The following CD "Medieval Inspiration" was an alchemistic project where Kvinterna members work on musical themes on the basis of our own improvisation, our experience of interpretation as a group, and astrological predestination. was established in 1995 as the result of the regular cooperation of a number of Prague performers and composers. These musicians felt a common need to create a permanent platform for the professional performance of contemporary music via a stable musical body working in Prague. The aim of the ensemble is to work on the detailed, specialised interpretation of new works and, in so doing, to encourage the appearance of demanding works written especially for this ensemble. The basis of the Mondschein ensemble\'s repertoire incorporates music written by Czech composers of the young generation which complements contemporary music from abroad and also certain works from the classics of new music. is a chamber ensemble with a tradition of more than 25 years. It plays historical, contemporary, anonymous and folk music. In historical music it dedicated itself mainly to confrontation of Czech and European baroque music, at present it focusses on music of sacred orientation. Unique is their interpretation of anonymous and folk music. It employs copies of original instruments, produced and used by Jaroslav Krcek, the leader of the ensemble and his friends. Krcek ranges among distinguished Czech composers and is also known as musical supervisor of the Czech Radio and gramophone record companies. continues the rich traditions of Czech chamber music, being the successor of the famous Vlach Quartet. The ensemble was founded in 1982 and already in 1985 succeeded in winning the European primacy and the laureateship of the International Competition of String Quartets in Portsmouth, England. Outstanding personalities of chamber music as P. Buck (Melos Quartet), G. Nemeth (Bartok Quartet) and the violin virtuoso and conductor Yehudi Menuhin expressed their cordial sympathies with the spontaneous and mature art of the quartet. Piano and Woodwind Quintet "Orphee" was named after the music God "Orpheus" in the Greek myths, who was also a master of a harp. Its name is associated with two Japanese Kanji (the Chinese characters used in Japan). It means the woodwinds producing music as if they are weaving a fine cloth. After their debut concert at Tokyo in 1979 they are regularly asked for performances at different festivals in Japan and also perform at the major concert halls there. Orphee\'s repertoire is greatly characteristic and includes a lot of arrangements for sextet. The members - Shuhei Isobe, Katsuhisa Ohtaki, Yasuhiro Yamamoto - had arranged orchestral, violine and piano works, and even pop music. Later they also prepared some originals by Shuhei Isobe. Their concerts are very unique and the ensemble is recognized as one of the first chamber group which makes music so delightful and enjoyable in Japan. The first recording of Orphee - Another Peter and The Wolf (1980) received a high reputation and was indicated as the best recording of the month in the Band Journal magazine. is one of the most important Czech ensembles, which have chosen to follow the path of authentic early music interpretation. The ensemble was founded in 1984 by Jan Simon and it continues in the traditions laid down by the world famous ensemble Pro arte antiqua, which, during the period of its existence (1933-1974), performed many concerts at home and abroad and completed a number of recordings and radio productions. The link between those two ensembles is not merely abstract: Jan Simon Sr. played the viola da gamba in the original group from 1944. Pro arte antiqua Praha entered the musical stage at the time of its founding under quite different circumstances. The "paternal" ensemble was once a pioneer in discovering and promoting music which historians knew only by their titles and from dusty museum documents. The new ensemble, however, was born at a time when the endeavour to produce an authentic interpretation of early music was progressing considerably, a time when, in England and in German-speaking countries, this endeavour had become a wide movement with strong roots in musical science, education, publishing and instrument-making. Pro arte antiqua Praha comprises graduates of the Prague Academy of Music and the Academy of Performing Arts who, with comprehensive study of archive material, try to find and bring together as many details as possible from period sources, the key to understanding the spiritual legacy of the past. The basis of the repertoire of Pro arte antiqua Praha is Czech and world Renaissance and Baroque music. However, a further field of study is based on the interpretation of Classical works for which the ensemble also has the requisite instruments at its disposal. The ensemble\'s speciality is the unique use of an original collection of old viols and viola da gamba. The individual players also use the more familiar instruments (violin, violas and \'cellos) in their Baroque or Classicist form. The ensemble attempts to maintain all attributes of authenticity by using period notation, instruments, bows and gut strings, period tuning and the method of embellishing parts with ornamentation. Their objective is to interpret music in the manner in which the most competent professionals performed in their day, with a whole range of moods and proficiency in variation. Pro arte antiqua Praha has given many successful concerts using an extensive repertoire and the ensemble also works with radio, television and recording companies. is a chamber-music ensemble which arranges and performs mainly sixteenth and seventeenth-century music. The players, each specializing in certain kinds of music, alternate with one another, depending on the style. The core of Ritornello comprises three or four musicians, each of whom often plays several instruments. The musicians conduct their own research into the music for the repertoire and also publish (including sheet music and works on hymns and organs). Ritornello seeks to rescue certain compositions from the "serious music" category and return them to their proper place among the basic needs of men and women, as a universal language, by using small and even the smallest musical forms (the song, the dance) in their own elegance and rawness: a Baroque-Romantic "Return". The ensemble uses period instruments or faithful copies of them (including the lute, theorbo, Baroque guitar, hurdy-gurdy, Renaissance and Baroque bagpipes, positive, cornetts, dulcian, Renaissance trombones, shawms, chalumeaux, flutes, fifes, violas da braccio and da gamba, Baroque violins, and drums), old tunings and pitches, and original instrumental and vocal techniques. The individual repertoires draw from various historical music genres: music of the church, the home, dance music, music of the street, of towers (fanfares), and music for feasts. Apart from concert performances Ritornello plays for church services, gallery openings, receptions, literary soirees, conferences, and film scores. With the repertoire and arrangements of its recordings, it seeks to fill the gap left after the disappearance of "everyday feast" music. *) Ritornello (It. to return again, dim.) means "a little return", the repetition of a small part, a refrain, a simple interlude, to be played or sung. This simple device of form, which is typical of Early Baroque and Mannerist music, signals the mutual disconnection of vocal and instrumental music. Its advantages are that is concise, easy to remember, pleasing to the ear (so encourages repetition), links parts together, and provides continuity. A word of many meanings, signifying "Return!" The original Rozmberk Consort was active from 1552 to 1602 at the Castle in Cesky Krumlov (Krumau, in German) and then in Trebon, and it contributed to the glory of the south Bohemian court of the brothers Vilem and Petr Vok of Rozmberk from the mid-sixteenth to the early seventeenth centuries. The modern Rozmberk Consort was founded in 1974 by Frantisek Pok. In the thirty years of its existence a number of excellent musicians have played in the ensemble, it has undergone a change of generations, and has survived even after the departure of its founder and long term artistic director. (Events that have in other cases led to the decline and break-up of exceptionally successful music groups.) At the time of its founding it was unique in the country. Today, as well, when the interpretation of early music has become more widespread, it maintains its uniqueness thanks to its rich experience, enduring contacts with ensembles abroad (made when performing at international early-music festivals), and owing to its high professional standards. These standards stem from the fact that all its members are professional musicians working in major ensembles in Prague (including the Prague Radio Symphony Orchestra, the State Opera, and the Karlin Music Theatre). The players are united by an interest in early music and a willingness to master several now unusual instruments, which in earlier centuries was something taken for granted. The musical versatility and flexibility both of the individual members and of the ensemble as a whole enable them as interpreters to cover a diverse range of instrumental and vocal music of the Middle Ages and the Renaissance. The range of instruments of the Rozmberk Consort is remarkable, comprising about forty string, wind, keyboard, and percussion instruments. They are used in various combinations to evoke aural pictures of music of different eras. Some of the instruments come from the Pok workshop; others are replicas of historical instruments by specialized makers. The arrangements of the compositions respect the rules of early-music interpretation. They also put emphasis on timbre, variety, and original emotional effect. They resonate with natural musicality, which is undoubtedly appreciated by listeners today as much as it was five hundred years ago. In this way the Rozmberk Consort has secured for itself the lasting favour of audiences young and old and of different educational backgrounds. Regardless of its success on tours abroad it is just as certain to create an unforgettable atmosphere at an educational concert in some remote corner of the Czech Republic as it is at a renowned international festival. Apart from its own vinyl and CD recordings the ensemble has recorded for European radio stations, including ORF in Austria, WRD, Deutschland Radio Berlin, Radio Nacional de Espana, Greek Radio, and, repeatedly, for Czechoslovak and, later, Czech Radio. Together with Czech Television the Rozmberk Consort has made a few programmes of its own (for example, in the "Best of the Classics" series), and has recorded soundtracks for Czech and foreign films. Touring abroad and performing at festivals has taken the Rozmberk Consort to Greece (1982, 1984, and 1988), Sweden (1987 and 1991), Spain (1995, 1998, and 2001), Malta (1996), Switzerland (1989, 1993, 1995, and 1998), Wales (1996), and Luxembourg (2004). is a female vocal ensemble established by Jiří Hodina. The ensemble is specialized in the interpretation of Gregorian chant both as part of church services and at concerts. The ensemble is active in the Czech Republic and many other countries, including France, Belgium, Germany, and Austria. It has performed at festivals of Gregorian chant in Watou, Belgium, 2003, and Clervaux, Luxembourg, 2005, and its programmes ‘Lumen Verbi’, ‘Rosarium’, and ‘Canticum Canticorum’ met with great success. To mark the 700th anniversary of the death of King Wenceslas II, who was the founder of the Cistercian monastery at Zbraslav, Bohemia, the Schola Benedicta has expanded its repertoire to include the programme ‘Planctus domus Aulae regiae’. On the occasion of this anniversary the ensemble has also made its own recording for Arta Records with Czech music from the second half of the thirteenth century. Most of the members of the Schola Benedicta are graduates of conservatories and universities specialized in music. Their field of interpretation is not restricted to early music, but runs the gamut of music history. They work with eminent Czech and foreign ensembles, including Collegium 1704, Collegium Marianum, Capella Regia (Prague), Musica Florea, Ensemble Inégal, Collegium Quodlibet, Ars Nova Ensemble, Fraternitas, Bach Collegium Japan, and Collegium Vocale Gent. is a Brno vocal ensemble concerned almost exclusively with historically informed interpretations of sixteenth and seventeenth-century music. It was founded by Eduard Tomastik in 1998 for a performance of Renaissance masses by the English composer William Byrd. The ensemble expanded its repertoire with the addition of works by leading Renaissance and Baroque composers from Western Europe (Janequin, Lasso, Palestrina, Hassler, Gesualdo, Monterverdi, Schütz, Carissimi, Biber). The focus of the ensemble was, however, soon oriented to the music of this period in the Bohemian Lands, particularly by composers who had lived and worked at the court of Emperor Rudolf II in Prague, compositions in the château library at Kromeriz (Kremsier), music from the period of the Dietrichsteins in Mikulov (Nikolsburg), church music by the kapellmeisters at Olomouc (Olmütz) and works by Adam Vaclav Michna. With this repertoire the ensemble has presented a number of contemporary world premières, which were broadcast by Czech Television and various radio stations. It performs regularly at major music festivals (for example, the Autumn Festival of Church Music in Olomouc, the Emmy Destinn Festival, and the St Wenceslas Festival). In an expanded line-up the ensemble works with leading Czech Baroque orchestras, including Musica Florea and the Capella Academica. Today, Societas Incognitorum is considered one of the leading Czech ensembles interpreting early music. Its first recording, From the Kremsier treasury of music, was called Disc of the Month by the prestigious French magazine Répertoire (10 de Répertoire). Another CD project, made in collaboration with the Schola Gregoriana Pragensis, which covers works by Michna, received the second highest award of the French magazine La musique. After graduating in dulcimer from the Bratislava Conservatory of Music, Eduard Tomastik trained in choir conducting at the Janacek Academy with Josef Pancik and orchestra conducting with Otakar Trhlik and Jan Zbavitel. In 1996-98 he was Assistant Chorus Master of the Janacek Theatre Opera Chorus and the Brno Academy Choir. Ever since his days at the Conservatory, Tomastik has been intensively involved in the interpretation of sixteenth and seventeenth-century music, based on thorough research into period sources. Church music is his special interest, particularly that of the Bohemian Lands and neighbouring countries. As a researcher he makes regular contributions to European scholarship in the history of musical relations. In connection with his current musical focus he has returned to his first speciality, performing on the harpsichord, and is again devoting himself to the study of the historical development of the instrument and its use in church and secular music. At present he teaches at the Academy of Ancient Music, Masaryk University, Brno. In 1998 he founded the Societas Incognitorum chamber ensemble, of which he is currently Artistic Director. founded in 1998 by Petr Wagner, brings together outstanding musicians from various parts of Europe who specialize in baroque and early classical performance practice on period instruments and are devoted to chamber music. Through its members the Ensemble Tourbillon combines the very best of European early music schools with outstanding musicianship, which lends the ensemble distinctively virtuosic style and refined sound colours. Ensemble Tourbillon‘s repertoire spans a period from the seventeenth century up to C. F. Abel, C. Ph. E. Bach, with works of virtually unknown composers to familiar masterpieces of the baroque and early classical periods. Its formation ranging from 4 musicians (2 violins, viola da gamba, theorboe or harpsichord) to large instrumental and vocal forces enables the ensemble to perform major secular and sacred vocal repertoire. Recent engagements of the Ensemble Tourbillon included numerous appearances in the Czech Republic and abroad (St Wenceslas Feast, Haydn Festival in Dolni Lukavice, re-invitations to the Mitte Europa Festival, Early Music Festival in Cesky Krumlov , Early Music Series of the Prague Symphony Orchestra and the National Gallery). The chamber ensemble Verner Collegium by its instrumentation seems almost predetermined to the interpretation of this kind of music. It records and plays concerts at the Czech Republic as well as abroad. Above all, critics appreciate the tonal quality, spontaneity of expression and unity of the style\'s conception, cultivated by years of common effort and by the heritage of talent. Spiritual friendship and admiration for the music of the 18th century are the main inspirational sources of the ensemble, which consists of its leader Pavel Verner (the solo oboe player of the Prague Symphonics), his sons Peter (the violist of the New Vlach Quartet) and Michael (the solo bassoon player of the Symphonic Orchestra of Prague Radio Broadcasting). The basso continuo part is interpreted by Frantisek Xaver Thuri (oboe professor at the Prague Conservatory) and by the leader\'s nephew Pavel Verner jr. (concert-master of the Smetana Theatre in Prague).